So far it has been a busy month in Dublin with book launches, talks, training days, archives awareness campaigns, research requests, cataloguing, visitors, digitisation projects…………the usual myriad of duties that make up an archivist’s work! 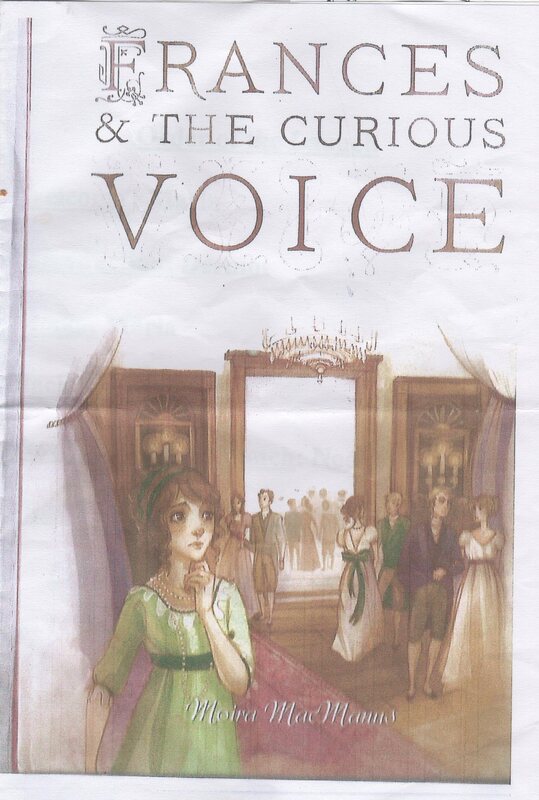 In early November, Moira Mac Manus IBVM, officially launched her book ‘Frances & the Curious Voice’, a book on Frances Teresa Ball aimed at younger primary school children. Moira had spent three years researching Teresa Ball and was a frequent visitor to the Archives during this time. The talented illustrator called on some of our images and photographs (albeit of a later date) to artistically recreate the schoolrooms, school children in Dublin. The book is accompanied by a dvd and resource kit for teachers and parents – in recreating and retelling the story of Frances Teresa Ball to a new generation. 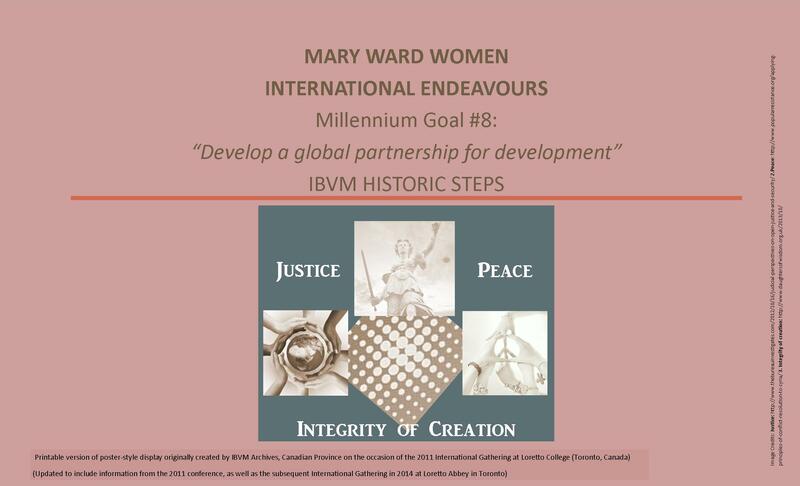 Kathleen has been busy in recent months giving talks to external groups on various aspects of IBVM Loreto history, and was invited to give a talk to a guild of the Irish Countrywomen’s Association. Kathleen invited me to attend with her. We decided to show one of the films from our audio visual collection, an amateur film titled ‘Teresa Ball’s Georgian Dublin’ (1994), narrated by Inez Logue IBVM and speak on Teresa Ball and the foundation of Loreto. Several of the audience were former Loreto pupils but many were not. We were delighted to find such interest and enthusiastic questions from an audience that was not familiar with the Loreto story. An Archives & Records Managers UK & Ireland regional training day on copyright, proved too irresistible an attraction for us! The key note session was given by Tim Patfield, formerly of The National Archives UK and renowned expert on copyright law in relation to archives in the UK. It was certainly an eye-opening experience, and opened our eyes to the murky world of copyright. According to Irish and UK law the copyright of any work –e.g. catalogue, leaflet, etc produced by non employees – volunteers, students, contractors, committee members, etc – in the course of their duties, remains with the creator. A pre-emptive assignment of copyright should be included in any contract of work. Copyright legislation in existence at the time of the creation of the ‘work’ was a particularly interesting point given our history. Therefore many works in Ireland are still subject to UK copyright, as legislation can never change existing copyright ownership. A particularly pertinent point for us was the clarification that the creation of a copy – through whatever means – digitisation, transcribing, photograph, photocopying – does not give rise to a new copyright. A digitised image remains only a copy of the original work. The copyright remains with the original owner. We were particularly struck by this, as many commercial companies specialising in digitisation in their contracts of service insist on retaining a copy of the image, for future use. Without intentionally setting out to do so, I think November has become our own ‘Explore Your Archive’ month, reaching out to new and existing audiences and sharing our Loreto heritage.